The NATO alliance should formally become an anti-Daesh coalition member, US Secretary of State Rex Tillerson told reporters on Wednesday. 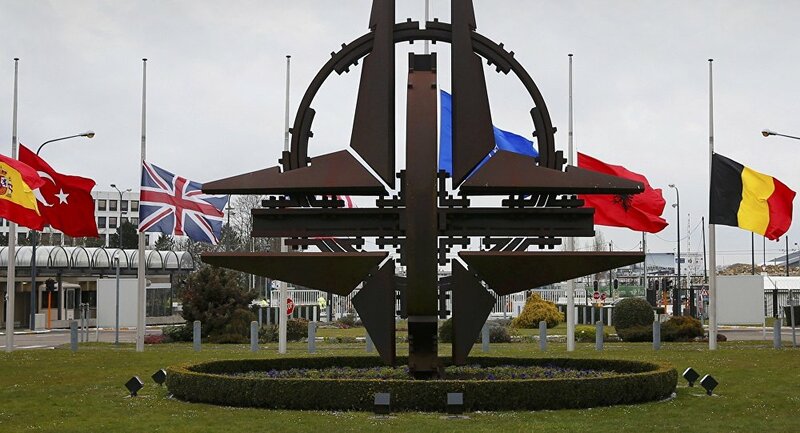 WASHINGTON (Sputnik) — NATO Secretary General Stoltenberg said Wednesday that he expected that NATO members would agree at their upcoming summit to expand support to the US-led counterterror coalition, contributing to airspace management. According to Stoltenberg, several NATO member states expect potential membership of the military alliance in the coalition as this move could be a signal about a common struggle against terrorism and would contribute to cooperation between the NATO member states and non-NATO states in the fight against terrorists. "NATO joining the ISIS [Daesh] coalition, we do think that would be a really important step for them to take," Tillerson said. "They’ve been an observer. But they’ve become more and more engaged in the actual fight to defeat ISIS. I think Secretary Stoltenberg feels that would be an important step for them to take." Tillerson noted that there are a couple of countries that are currently considering joining the alliance. "I’ve had meetings actually with one of those. I think they’re going to support NATO joining and becoming a" member of the ISIS fight," he added. The United States announced creation of a broad international coalition to fight against Daesh on September 10, 2014, according to the US Department of State. The US-led coalition that includes 68 countries, including the NATO member states, such as Belgium, France and the United Kingdom among others, has been fighting against Daesh positions in Iraq and Syria.